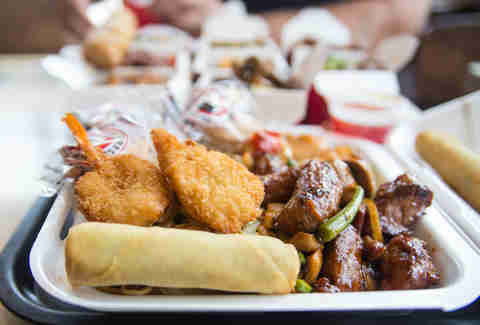 Panda Express has over 1,900 locations across the country, so chances are you’ve eaten it at some point and probably already have your favorite dishes from the menu picked out. But chances also are you probably haven’t tried the ENTIRE MENU, so how could you possibly know if you’re ordering right? 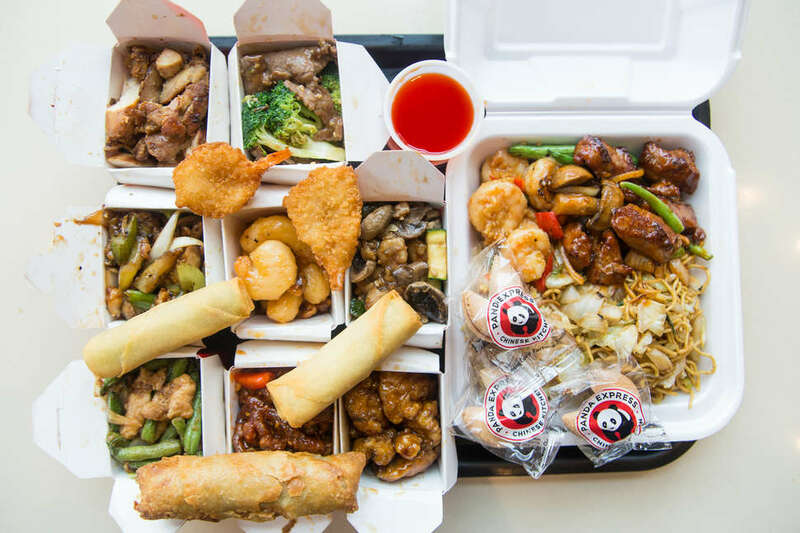 That’s where we come in: We ate the entire menu* and ranked every single thing, so that on your next road trip/mall visit/hankering for egg rolls, you’ll order only the best stuff at Panda. * This was everything available at the Sunset/Western location in LA, with the exception of the Firecracker Chicken BReast, which is only available for Chinese New Year. Also, for a side, you should always get a combo between fried rice and noodles, obviously; we weren’t gonna waste stomach space on white rice, and neither should you. Okay, to be fair, I hate Crab Rangoon as a concept, so this could just be personal opinion. Wontons? Delicious! Cream cheese? Toss it on a bagel and give it to me, anytime. Put ‘em together? Nope. Nope. Nope. Flavorless and with an oddly chewy texture, this spring roll’s a childhood favorite. Adults, though? Avoid at all costs. 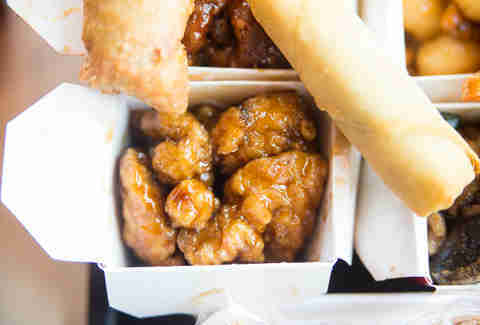 This is Panda’s newest product launch, and should be as tasty as the advertising makes it look. Sadly, it’s not -- if there are, in fact, five flavors, they’re unidentifiable, and also don’t go so well together. Pass. 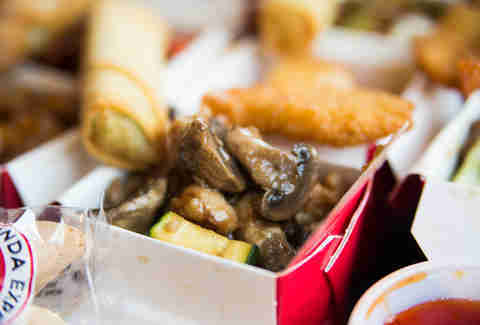 The best way to describe the mushrooms is “mushy,” and the best way to describe the chicken is “subtle.” No one goes to Panda Express for subtlety, though. 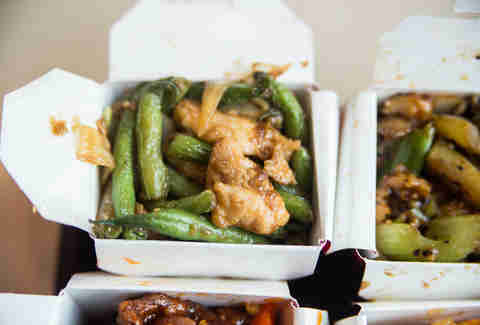 Sort of the same as the Mushroom Chicken, but with more flavorful, crunchy string beans. Definitely not bad, but also not, like, exceptional. 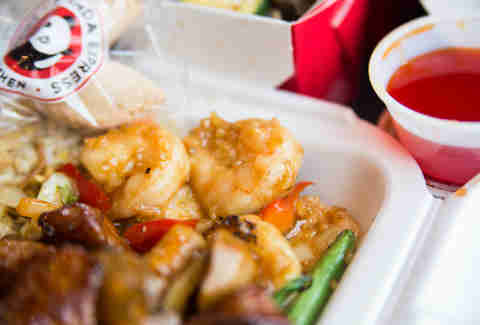 Confession time: As a kid, this is why I loved Panda Express. 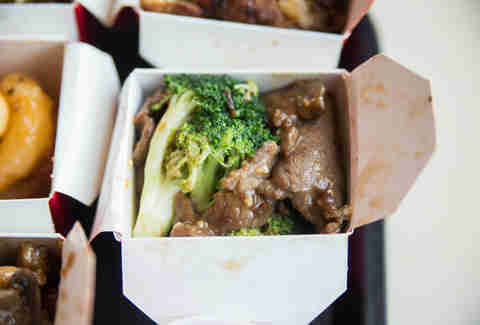 As an adult, I’m not quite sure what I was thinking -- the beef is chewy, the broccoli is undercooked, and the whole thing just tastes like soy sauce. This is a mistake order I won’t be making again. We Took a Cooking Class With LA's Best Seafood Chef. Here's What We Learned (and Something to Make). The “legit” version of this dish (probably available at your best local dim sum restaurant) is sweet but not too sweet, goopy but not too goopy, and perfectly crunchy. This version? Too sweet, too goopy, and not crunchy enough. Truth in advertising: Panda does not hold back on the pepper. If you like pepper -- and I like pepper, a lot -- this is a good thing. No one would ever accuse this dish of not being flavorful enough, but it gets docked a few slots by not being for everyone: It’s easy to see how the celery-and-pepper combo that gives this dish its bite and crunch could turn some people off. Is it basic? Sure: It’s literally just chicken cooked with teriyaki sauce. 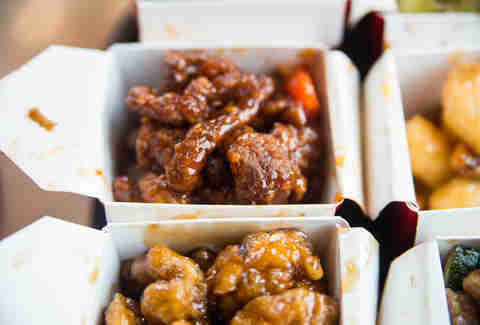 But it’s moist, and each piece has that iconic teriyaki flavor. Will it change your life? No, but it’s perfectly passable. Ah, now we’re getting to the good stuff. 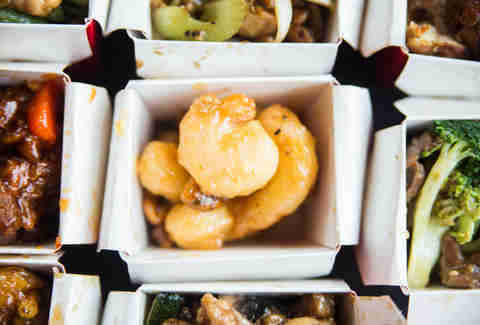 Honestly, Panda’s Kung Pao Chicken is just about as good as any delivery kung pao: it’s got some bite, it’s got plenty of textures, and the chicken is clearly cooked with the veggies, giving it a salty, savory flavor. This approximation of a NY-style egg roll does a great job of balancing textures, veggies, and protein in one of those great, fried wraps. It’s better than it has any right to be. This battered-and-fried, sesame-style dish is so full of flavor it seems like it was invented in a laboratory, designed to hit every pleasure receptor of the brain to make it crave the overwhelming flavors repeatedly. Which, actually, is probably pretty close to how it came about in the first place. 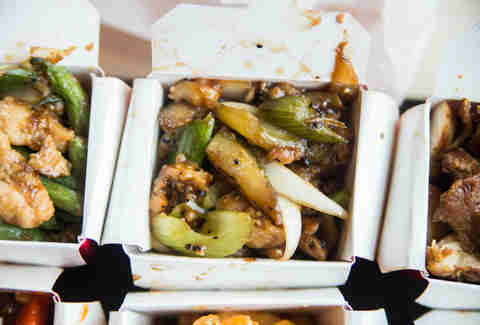 If you're incredulous about the sole vegetarian entrée on the Panda menu having a top slot, you're not alone: As I looked at the sludgy dish staring back at me from a to-go container, I thought I'd have a tough time getting through more than one bite. Instead, I finished it all -- the sauce is spicy, the tofu fried well on the outside and was consistent throughout, and the eggplant is moist without being mushy. Who knew? Thick-cut steak pieces that aren’t too chewy, aren’t stringy, and are, I’m almost embarrassed to say, quite good. Well-cooked mushrooms. A sauce that is thin, and flavorful, and tastes like soy and ginger and salt and isn’t too oily. Sounds like a pretty great dish, no? Well it is a pretty great dish, especially coming from a fast-food restaurant. 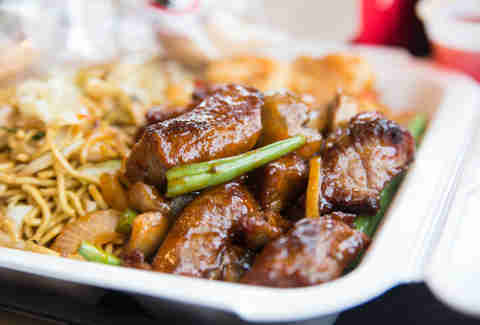 For as long as it’s on the menu, this sleeper hit should be the default move for any Panda Express visit. So, go make it happen. Jeff Miller has some leftover Kung Pao Chicken in the fridge. Follow him at @jeffmillerla on Instagram.